Purpose-built flash technology impacts data center economics. 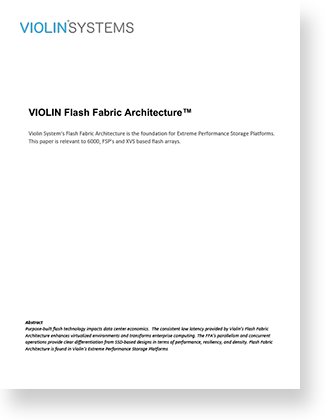 The consistent low latency provided by Violin’s Flash Fabric Architecture enhances virtualized environments and transforms enterprise computing. The FFA’s parallelism and concurrent operations provide clear differentiation from SSD-based designs in terms of performance, resiliency, and density.